Made from fine organic cotton, this bib and burp set are sure to be a favourite at mealtimes. 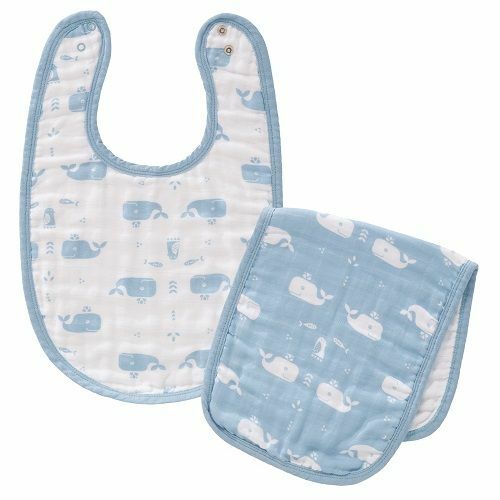 The bib is secured at the neck with 2 push studs to ensure a secure yet comfortable fit and features a happy whale swimming with his friends in the sea in a predominantly cool blue colourway. A very stylish design! The burp cloth has the same whale design, only with the colours reversed, to perfectly compliment the bib itself. They 'design to make life full of colour and joy'.